It is the policy of the Marlboro Police Department to provide for a fair and objective hiring process and background investigation for candidates who aspire to be police employees with this agency. It also to provides, as best as possible, for an ethnic and gender composition within the police department that accurately reflects the ethnic and gender composition of the Township. Applicants must be at least 18 years of age and not be older than 35 at the time of taking the New Jersey Civil Service Test for Entry –Level Law Enforcement officers. Applicants must posses a valid Driver’s License. Applicants must have a good reputation and be of sound moral character. Applicants Residence Standards will follow Civil Service Rule 4A:4-2.11 which can be located on the NJ Civil Service web site. 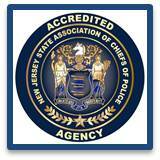 All potential candidates must take and pass the New Jersey Civil Service Commission's Test for Entry-Level Law enforcement Officers. www.state.nj.us/csc. If the Police Department has any vacancies, the applicants at the top of that list shall then endure a series of background investigations and steps to be hired. The preliminary application has basic information which is designed to ensure that we can maintain contact with the applicant as the applicant moves through the process. It also serves as a mechanism to check and ensure that all minimum requirements as set forth above have been met. The personnel who successfully complete the preliminary application are then invited in for the preliminary interview when this agency is preparing to hire personnel. The number of applicants called in for the preliminary interview is dependent upon the number of positions to be filled. Once the preliminary interview is complete, a background investigation shall be conducted to ensure that the applicant meets all the minimum requirements. This process may involve the filling out of a more detailed and thorough application. Previous criminal history, motor vehicle records, personal references and other items maybe checked as part of this process. Those applicants who successfully complete the background investigation are then given an oral interview by the Chief of Police and/or the Division Commanders. After the oral interview takes place, the Chief of Police in conjunction with Marlboro Township’s Mayor shall select the best candidate to be awarded a conditional offer of employment. Successful completion of a medical examination. Successful completion of a psychological exam. A negative drug screening test. Successful completion of an approved Basic Course for Police Officers—PTC. Enrollment in the New Jersey Retirement System. Health Benefits through the New Jersey State Health Benefits program. Dental Insurance through the prevailing labor contract or consistent with the Township’s Plan. Educational benefits according to contract. This agency is an Equal Opportunity Employer and complies with all Federal and State equal employment opportunity laws, including, but not limited to request for reasonable accommodations on account of a disability as required by law. Once you have applied to this agency this department will periodically contact you on the status of the hiring or to obtain any needed information. As a result, it is important for you to keep your contact information current. If you need to update this information you should contact this agency and speak with the Administrative Captain. While your application will not be rejected for minor errors, you will be questioned on them and it may effect your standing in comparison with other applicants. There is no set time period for the hiring process to take place. It is not recommended that an applicant continually call the police department for inquires on the status of the application. This Marlboro Police Department is considered a CIVIL SERVICE Township and is governed by the New Jersey Civil Service Commission. This applies for any residency requirements, veteran's preferences or testing procedures and eligibility as a potential candidate for a police officer position. When there is an opening for a civilian position the opening will be advertised in the local newspaper or the Township and Police Department websites. Successful applicants may be given an offer of employment or a conditional offer of employment depending on the position. The conditional offer may be contingent upon successful completion of a medical and/or psychological examination.